These stethoscopes find their application where the human ear reaches its limits. The acoustic receptor is very quickly fixed by provided mastic material. It can be attached to the wall (up to 50 cm thick), window, door frame etc. The miniature receiver captures the signal from a distance of up to 100 m. Longer distances are also possible if required, however, this will reduce receiving time from 30 to 15 hours. 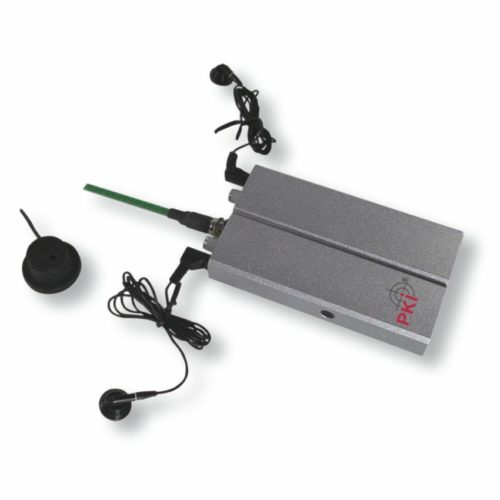 The stereo version PKI 2985 is best suitable for operations with loud background noise such as street noise or similar. These sounds can be eliminated by our devices PKI 2260 or PKI 2500. 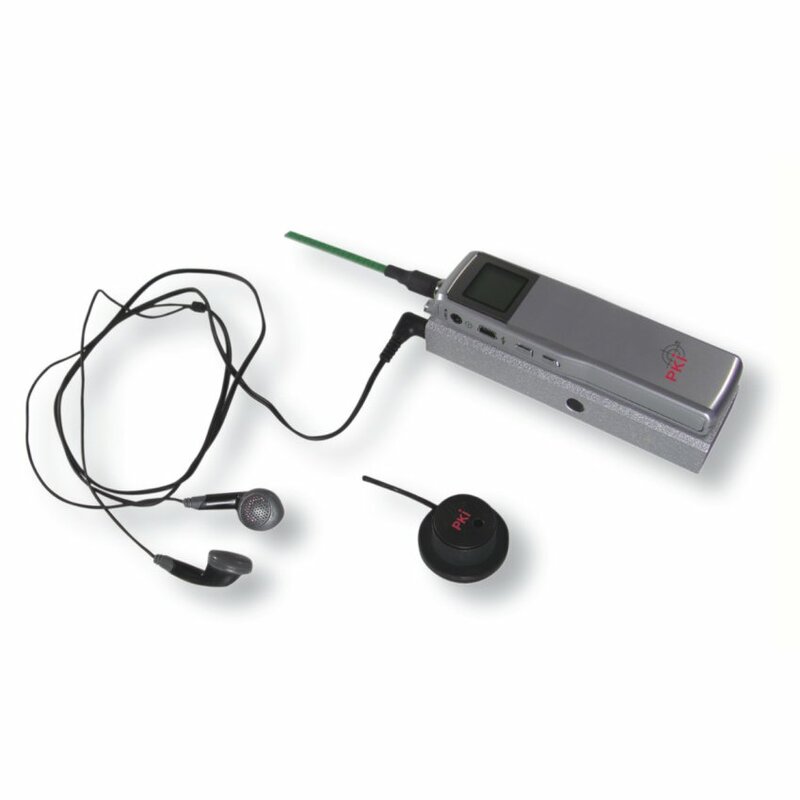 The Piezo acoustic receivers are high sensitive and capture acoustic oscillation on hard materials, as e.g. on pipes, windows, etc. so that even spoken word are clearly audible. On request we are able to deliver a compatible recorder with 70 hours recording time (PKI 2980R refers).